How Much Do Andersen Replacement Windows Cost? Window Replacement Price Guide » Insights » How Much Do Andersen Replacement Windows Cost? Now that you’ve decided to make the investment to replace the windows in your home, your next question is most likely be, how much do Andersen replacement windows cost? Before we dive into the actual numbers there are a couple considerations you should keep in mind. These prices here are merely estimates since there are a variety of factors that can affect your final pricing. Current pricing trends, additional features and options you choose for your windows, as well, as the region you live in can significantly affect your costs. To get a better, more accurate estimate on what your replacement window project,be sure to consult with more than one contractor in your area. What goes into the cost of your Andersen Replacement Windows? Andersen has long been known as the manufacturer trusted by more builders than any other brand. Andersen understands what a major investment replacement windows for your home can be, but with proper research, and wise choices, your investment will bring years of comfort, superior efficiency, premium light, and unwavering beauty for decades. Low-E – In most cases, you can achieve optimal performance with Andersen’s standard Low-E/Low-E4® glass package. This is ideal for all climates and regions, and is a great choice for homeowners where both heating and cooling costs are a concern. SmartSun – This option gives you the benefits of Low-E glass in addition to filtering out 95% of UV rays that can be harmful without losing the amount of sunlight that shines through. This option is available on all Andersen products. Sun Glass – If you are in the harsher Southern climates, the Sun Glass option gives outstanding thermal performance that includes a subtle tint that blocks even more of the sun’s heat. PassiveSun Glass – For those in colder climates, the PassiveSun glass is a great choice. This option allows for more of the sun’s heat to enter your home, helping to keep your energy costs lower. Heat Lock Coating – You can also choose to add a HeatLock® coating which helps to significantly reflect the heat that generally escapes from your home. This is especially beneficial for those in colder climates when there are more months spent heating your home. 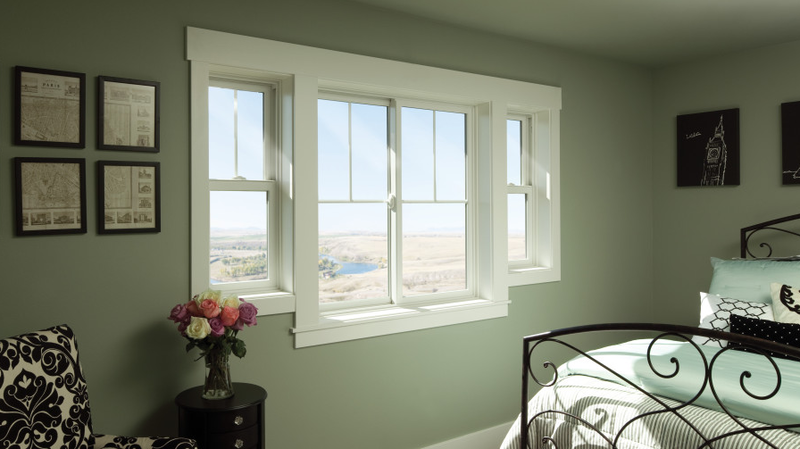 Andersen windows makes sure to offer a wide range of standard and custom size windows to accommodate any project. If you can’t find a size to match your needs, Andersen will custom make a window to fit your home perfectly. With the ever-expanding array of window accessories from Anderson, you can create a unique reflection of your style to achieve the curb appeal you’ve always wanted for your home. A variety of grill options which include interior wood grilles, and grilles between the glass, gives you the flexibility to choose the look that suits your style and your home’s architecture perfectly. Window hardware options are no different, and come in many different finishes and styles for a beautiful finishing touch. If you would like to reach out to a local expert for a FREE estimate on your Andersen replacement windows cost, simply enter your ZIP into the form on this page. Once an Andersen representative receives your information, they will schedule an appointment to visit your home and provide you with a free quotation.